Frankly, I'm disappointed. If you're reading this blog, you're not out riding. Now I guess that I could give you the benefit the doubt and assume that you're reading this on one of those fancy smarty-pants phones on your way to go riding. But most of you will be reading this from somewhere decidedly un-mountain-bikey. And that, my friends, is a crime. I understand your dilemma. With the ever-increasing choices, where do you go? The short answer is Wilimington, New York. But I suppose I should back that with some proof. 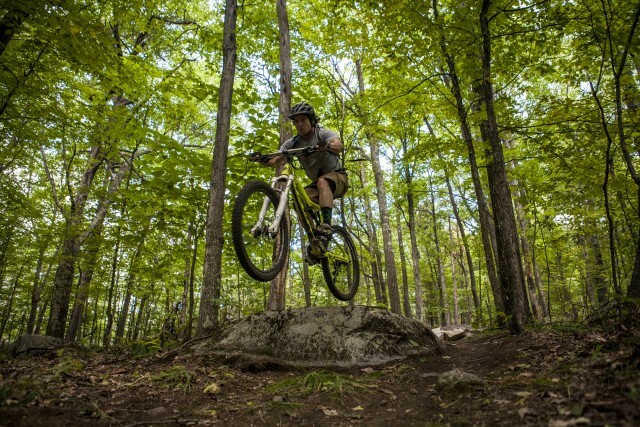 So here are six reasons why you should come mountain biking in Wilmington. Known officially as the “Beaver Brook Tract,” Hardy Road is quickly becoming a favorite of locals and visitors alike. The 7-plus miles of sandy trails stay dry from spring till the end of fall, and there are trails for every level of rider. The layout of the trails is as perfect as it gets for providing a good time. All of the trails start and end at the same parking lot, so no matter where you and your buddies go, you can meet back at the car for refreshment. A stand out trail in this system is All In. It features a steady climb up 700 feet to a loop at the top of the hill. After a leg-burning climb you can rest on the rocks before descending on some of the most exhilarating singletrack in the area. Once you’ve recovered, why not take another lap? Whiteface is known internationally as a winter ski destination, boasting the most vertical east of the Rockies. What you may not know is that in the summer it transforms into one of the gnarliest downhill mountain bike centers in the country. Whiteface currently has 27 trails that range from easy to insane. If you take the gondola up to Little Whiteface and ride back down, that’s more than 2,400 feet of vertical! A flow trail from the summit of Little Whiteface was recently added, opening the upper mountain to intermediate riders and those looking get a little air. The Poor Man’s Downhill (PMD) trail drops more than 1,000 vertical feet in less than 3 miles. It’s easy enough for beginners to pick their way down, and more advanced riders will enjoy pushing the limits on this wide open trail. You can ride up it if you want, but the top and bottom of the trail intersects with roads, allowing you to shuttle to the top. In the summer the village of Wilmington offers PMD shuttles on select Sundays from 1-4 p.m. For only $5 you can ride the shuttle as many times as you can manage in a day. I guarantee you’ll have a blast. The Flume Trails are the iconic trail system in the Adirondacks. Fifteen miles of trails vary from smooth and flowing to steep and technical. The further you go up the mountain, the more technical the trails get. Locals who ride here multiple times a week for years haven’t grown tired of these trails. You can ride loops until you’re dizzy, and then ride over to the Poor Man’s Downhill Trail for more action. You may be wondering who is responsible for all of these trails? 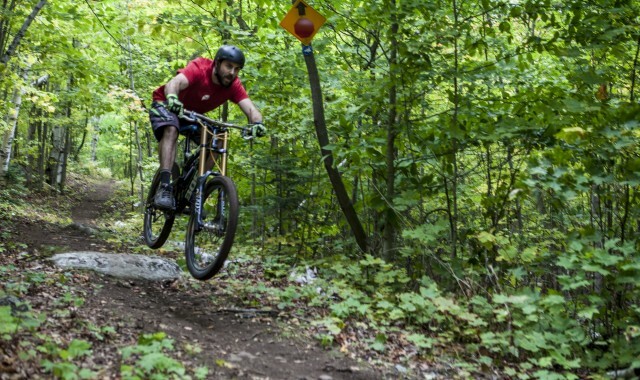 While many hands have played a part in breaking trail in the Whiteface Region, the heart of the operation is the Bark Eater Trails Alliance, or as they are better known: BETA. 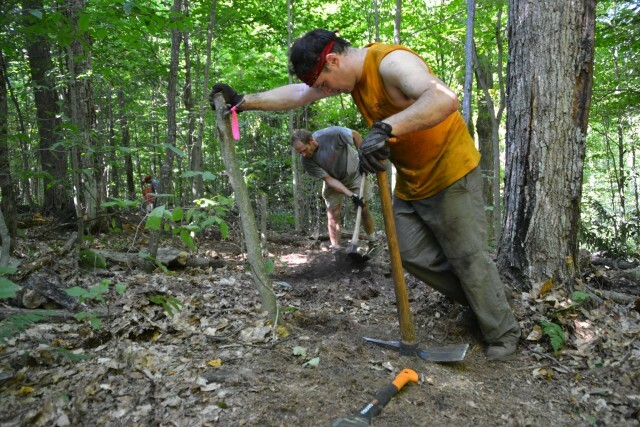 BETA is a group of volunteers that builds and maintains the trails in Wilmington, Lake Placid, and Saranac Lake. 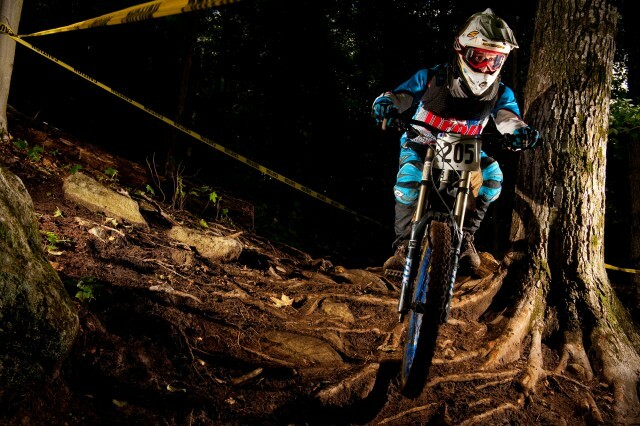 Mountain bike trails built by...mountain bikers! Not only is there fantastic riding in Wilmington, but just a short drive away are several dozen more miles of singletrack. It's just another reason why Wilmington is becoming a mountain biking mecca. Wilmington’s newest place to stay is the Cadence Lodge. This lodge is beyond bike-friendly — the owners are mountain bikers and have all the information you need to make the most out of your next cycling getaway. They even have a fleet of townies for you to cruise around on. 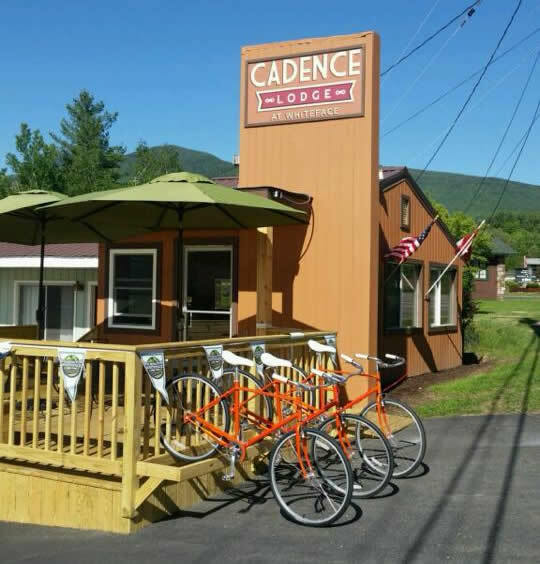 But more than just being a place to crash — figuratively speaking of course — the Cadence Lodge represents the way the village welcomes mountain bikers. Wilmington may be a small village, but they have world class downhill, miles of singletrack, a pump track, skate park, restaurants, attractions, lodging, and tons of downhill and road adventures waiting just for you. So what are you waiting for? Get here now! Newbie IRONMAN competitor runs (actually rides) down the course. Run a marathon? Nah, we’ll ride it! Bike, hike, history - all in one family-friendly trek. From purchase to pedaling - we make it easy.